In case you haven’t been following, over on jdMission‘s blog, I’ve been critiquing real law school personal statements week by week—naming what’s working, what’s not, and offering up a takeaway for each one in the Real Law School Personal Statements series. Here’s a round-up of four recent takeaways! 1. No headings. No gimmicks. Give your personal statement a heading if you want, sure. Give it a weird layout. Write it as a poem, an acrostic poem or haiku, or turn it into a musical if you want. And then revise into not these things. It is good for you to do whatever you need to do so that you’re able to freely and genuinely write from the heart, but then, best take out whatever quirky structural element enabled you to write openly. You may be convinced it’s cute/clever, but that’s sort of like being convinced your baby is the cutest baby of all time. 2. Put your head in your story. This holds true to a certain point in law school personal statements. You want to give enough detail that your story is sincere and poignant and resonates with the reader. But you actually don’t want to leave it open to interpretation in the same way that many contemporary short stories are, because you actually have an agenda here, which is to persuade someone of your suitability to a particular law school. 3. If you say you love American History (or any subject), you have to explain what you love about it. Remember in most romantic comedies ever made when two people are on a date, and one says, “I love that book!” never having read it, and comedic tension ensues as he tries to converse about a book he hasn’t read? If you say you are passionate about a subject or thing, and you don’t actually say why, or what about it you love so much, it comes across a little like this. It’s an easy mistake to make—but for the same reason, it’s an easy one to fix, too, if you catch yourself doing it. 4. When you discover abstract truths (“who you are” or “your life’s purpose”), elaborate…concretely. Again—an easy fix if you know what to look for. 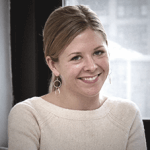 Mary Richter is a Manhattan Prep instructor based in New York City. Mary has degrees from Yale Law School and Duke. 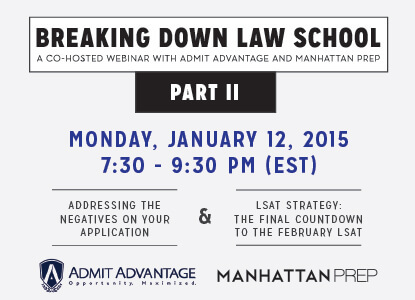 She has over 10 years of experience teaching the LSAT after scoring in the 99th percentile on the test. She is always thrilled to see students reach beyond their target scores. At Yale, she co-directed the school’s Domestic Violence Clinic for two years. After graduating she became an associate at Boies, Schiller & Flexner LLP in New York City, where she was also the firm’s pro-bono coordinator. Her writing has appeared in the New York Times, The Atlantic, Slate, and more. Check out Mary’s upcoming LSAT classes here.